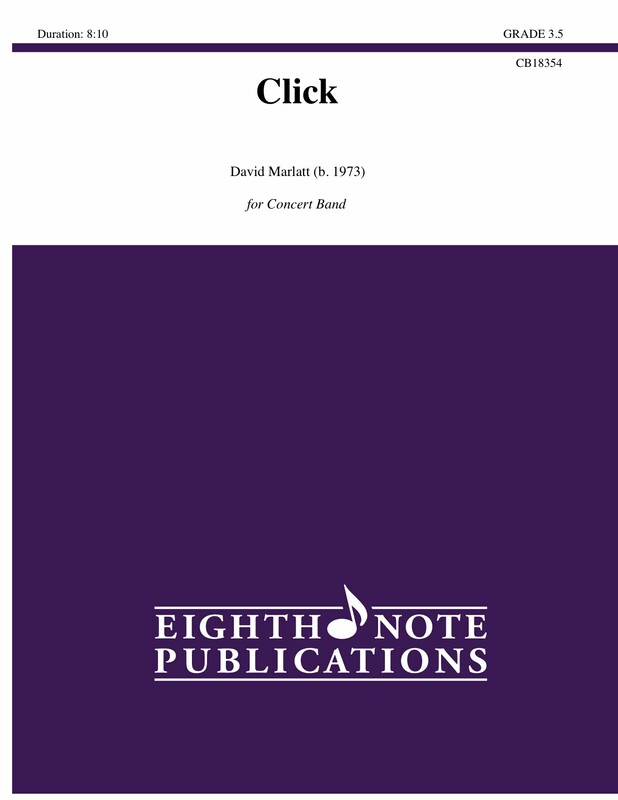 Click is an original three movement work for winds and percussion. What it lacks in a colorful title, it makes up for it with driving rhythms, memorable melodies and fun parts for all players. The first movement is a flashy opener and is shifty rhythmically. The second opens with ethereal sounding support under a clarinet solo before moving into a lush chorale. The final movement is a fun, funk tune where all players can let loose.